Mohit:I’m here with Klaus Felsche. Klaus is a long time employee of the Australian Government who has recently decided to branch out on his own. Until recently, he headed the Australian Department of Immigration and Border Protection’s advanced analytics area. Klaus, what do you see as the biggest opportunities for the Australian Government in ICT? Klaus: There are many interesting developments in ICT, particularly in software and new agile approaches to taking concepts from vision to reality. Agile project management methodologies are already finding strong support in both State and Federal Government agencies. Additionally, government agencies are seeking ways to establish a culture that enables and encourages innovation. Security, ensuring that data and systems are protected from inappropriate use. Exciting new technical capabilities that are emerging from a global community of innovators. Of course, none of the above is of much benefit, unless government agencies can enlist the services of smart people: leaders, managers, technical ICT teams, data scientists and informed employees who understand their department’s strategic aims. Mohit: Do you think the governments in Australia are in a strong position to innovate? Klaus: This requires a slightly complex answer. The Prime Minister has made innovation a major plank in his overall strategy for a future Australia. He has strongly supported the Open Data agenda, noting that the government is in a very privileged position, as it can collect great volumes of important data from citizens and businesses. He has noted thatthe data belongs to the people of Australia and, unless there is a very good reason not to make these datasets available, they should be readily available to support the activities of citizens, entrepreneurs and the corporate sector to enable economic growth. Another couple of examples are the West Australian Government that has a vigorous agenda aimed at consolidating data centres, using cloud-based platforms and building infrastructure designed to provide efficient access to its citizens regardless of where they live in a vast state. In New South Wales, Dr Ian Oppermann (Head of the new Data Analytics Centre) is making the most of new data sharing legislation to try and explore a number of priority challenges ranging from transport optimisation to fire and rescue response times; helping better align veteran training with regional employment demand to better understanding the drivers of demand for Social Housing. On the down-side, however, the development is not even across government agencies. Many do not have the resources or incentives to innovate. Getting the cultural settings right is a priority but it takes time, knowledge, skills and incentives. Many great ideas and opportunities are not progressed because they are either not ‘sold’ well or the agency is too busy with day-to-day work to make resources available. Finally, innovation is often considered to be driven by a need. Typically in government, it is in response to a problem like client complaints, unhappy Government Ministers, a reduction in the resource base or a growth in the volume of work that needs to be done without additional resourcing. These are all great reasons to innovate but we often overlook another: positively disrupting the business by recognizing an opportunity. The first group of needs-driven innovation tends to be largely reactive; it would be great to also become proactive by seizing opportunities. Mohit: OK, I understand the needs-driven approach you are talking about. Can you give me some examples of the opportunity-driven innovation? Klaus: Sure. On a global scale, Apple’s iPhone was not driven by an identified need – it effectively created a brand new market segment. Interestingly, most of the elements existed. Apple’s innovation was how they glued the parts together and dropped the product into an ecosystem, some of which had already been built to wrap around the iPod. Mohit: So where does the inspiration come from? Klaus:There are clearly internal and external triggers. Common sources of great ideas are your own workforce or clients. An organization that has mechanisms to evaluate these ideas and then implement some of these to get positive business results can leverage these ideas, while also creating a culture of innovation. A powerful technique involves monitoring developments across the world and constantly considering how these could be applied to the agency’s business. While software and hardware vendors might offer some of their latest as part of their normal relationship with an agency, relying on this channel alone is not enough in a world where new things are emerging every hour and many from non-traditional sources. On many occasions exciting things happen in the corporate sector of industry long before being considered by government. By monitoring such developments in ICT and business, government agencies can very quickly leverage these developments for their own purpose. The key to success is to have smart people and a way of testing and developing ideas to generate an innovating process that enhances government business. Mohit: Just off the top of your head, can you identify some trends in global ICT and speculate how these could be applied in government? Klaus: Well, here is a hypothetical. 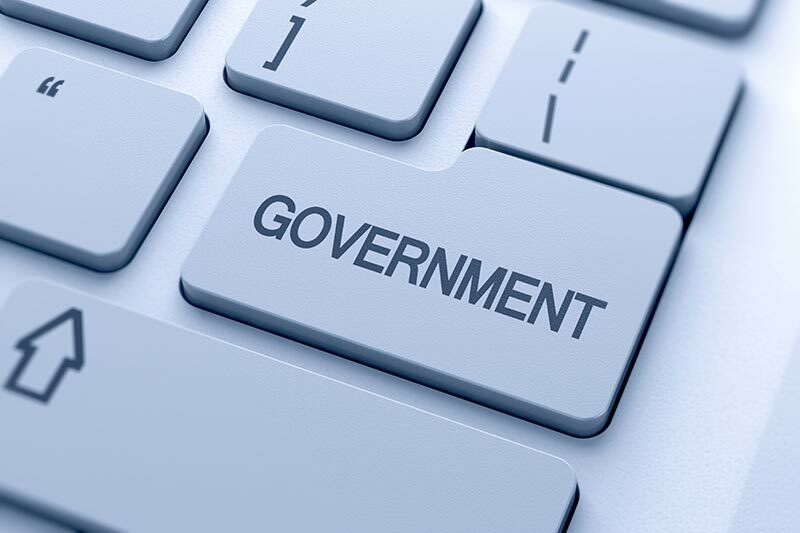 We know that several government agencies run call centres to provide guidance about their product and, for some, information to clients about the status of their application/etc. We also know that technologies like Apple’s Siri, Microsoft’s Cortanaand Google Nowhave been around for some time and are maturing. We also know that IBM’s Watsonis a capable platform in specific subject domains and following considerable investment in training. Could Australian Governments implement a call centre largely ‘staffed’ by Siri(or any of the other options)? Could we replace tedious telephone trees with Siri? This is really not new but its application in the government call centre environment is. Swiss writer Paulo Coelho noted that “once a problem is solved, it&apos;s simplicity is amazing”. It seems obvious to me that replacing most of the routine functions of a government call centre with Siri(or her sisters) is worth a serious look and perhaps somebody already is looking at it. All that is needed is a partnership between a government agency and a technology provider, a strategy to build a prototype around the agency’s subject domain and the capacity to deploy a successful system. By ‘deploy’, I am not just limiting this to the technical implementation but including altered business processes that leverage such a capability.